Our wine clubs offer you a great way to try a selection of labels and varietals. Wine will be sent quarterly and includes recipes and wine pairings for each wine, along with our informative newsletter highlighting the wines, the winemakers, and upcoming winery events. Jackson-Triggs Wine Club includes a selection of premium wines (mixed - red and white). We are also pleased to partner with Inniskillin and other premium brands within our Ontario portfolio to create Great Estates of Niagara Wine Club. Members enjoy exclusive offers, access to members-only events at our wineries and the convenience of having some of Niagara’s greatest wines delivered directly to your door. For a better Wine Club experience and access to greater benefits, all Wine Club memberships will be processed through our affiliated website GreatEstatesNiagara.com. Please click below to redirect to the Great Estates Niagara website and access our Wine Club membership offerings. Charges will appear on your credit card as Great Estates Niagara. 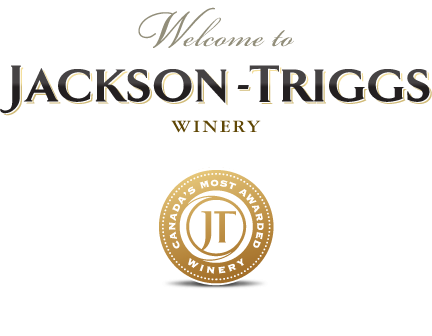 Jackson-Triggs Okanagan Wine Club features four bottles of premium wine sent quarterly to your door. We are also pleased to partner with Inniskillin, See Ya Later Ranch and Sumac Ridge to create the unique Great Estates of Okanagan Wine Club. Members enjoy exclusive offers, access to members-only events at our wineries and the convenience of having some of Okanagan’s greatest wines delivered directly to your door. For a better Wine Club experience and access to greater benefits, all Wine Club memberships will be processed through our affiliated website GreatEstatesOkangan.com. Please click below to redirect to the Great Estates Okangan website and access our Wine Club membership offerings. Charges will appear on your credit card as Great Estates Okanagan.